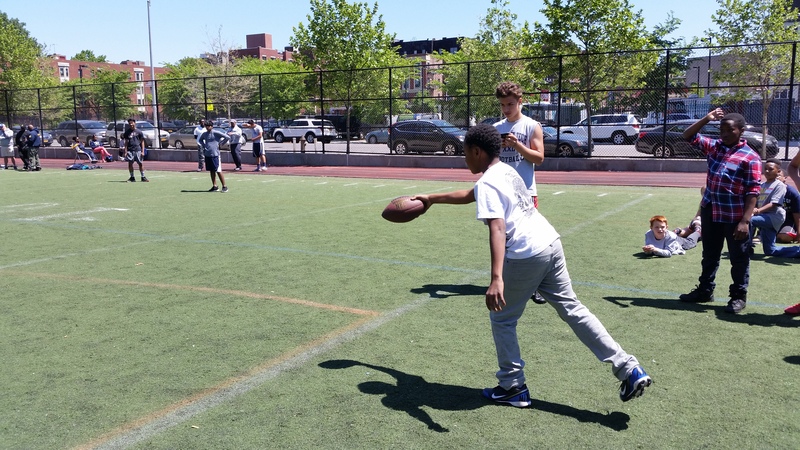 The Brooklyn Tech Football Pledge Week concluded on Saturday May 23rd with an open practice for alumni and a Punt Pass + Kick event for children ages 6-12. 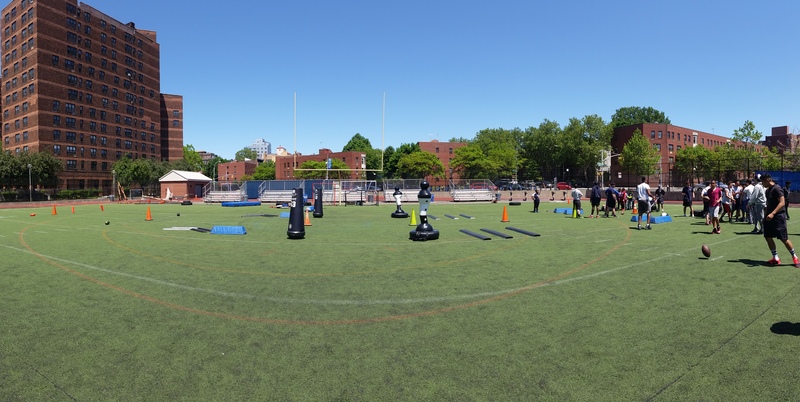 The event gave the young girls and boys an opportunity to learn football skills and play on an obstacle course created by the football players. 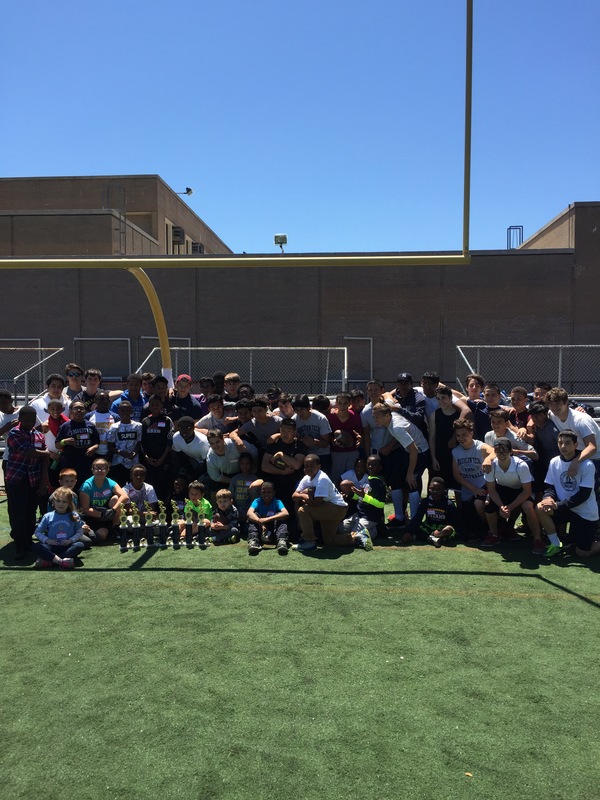 The Punt Pass + Kick event had over 25 participants and winners from each age group received a trophy. Throughout the day, alumni and kids hung out on field, with the players gathering up the competitors after practice ended at 11am. 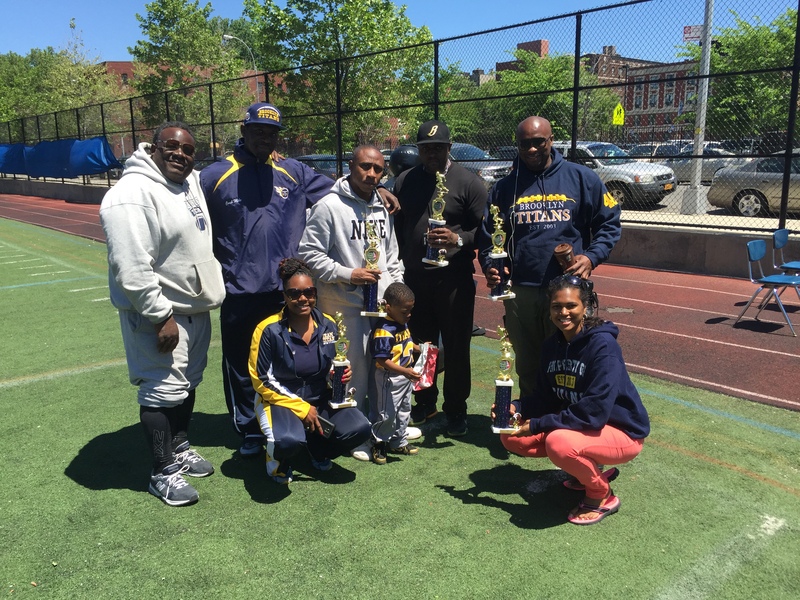 There was a large group that participated from the Brooklyn Titans youth organization. The Titans came straight from their pancake breakfast at Applebee’s on Fulton Street, which was attended by Coach McKenna and Coach Adewumi. The day was full of beautiful weather and opportunity for young people to be active. 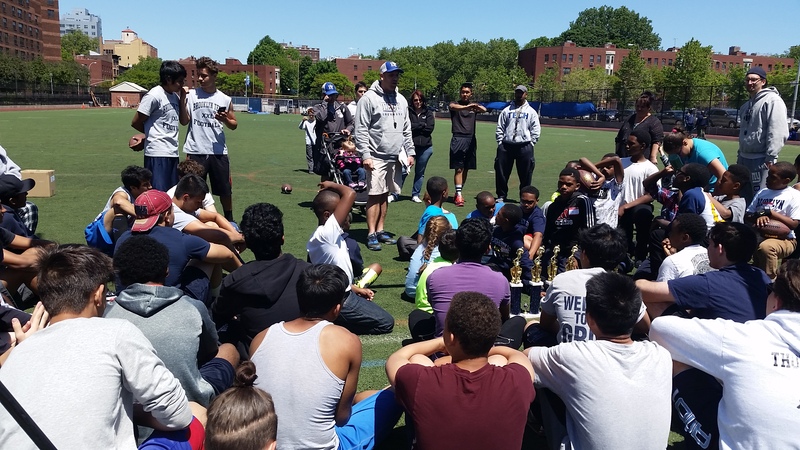 During the presentation of the trophies, the Brooklyn Tech coaching staff emphasized how important it is to get out of the house and be active for a minimum of 60 minutes a day. Following the awards presentation, the kids raced each other on an obstacle course created by Paul Pianin (Tech 2017) and Peter Henderson (Tech 2017). That portion of the event was part of a live stream on the Periscope app. Thanks to all that have donated or participated in Pledge Week! Your support is appreciated!